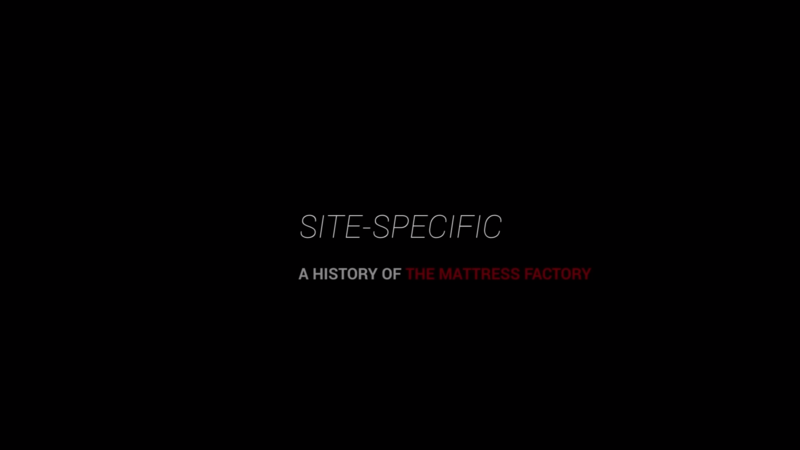 Site-Specific: A History of the Mattress Factory (Official Trailer) from David Bernabo on Vimeo. Pittsburgh filmmaker David Bernabo will premiere a feature-length documentary about the Mattress Factory museum of contemporary art with a free screening on May 3. The feature-length film parallels the installation of the museum’s 40th anniversary exhibition in 2017 with an in-depth, story-driven journey through the museum’s history of exhibiting boundary-pushing art. Interviews with artists like Ann Hamilton, Sarah Oppenheimer, Vanessa German, Dennis Maher, and others provide an intimate, sometimes humorous look at the indirect path a museum takes as it creates its identity. Bernabo also mined the museum’s extensive tape and video archive to unearth rare archival installation footage of James Turrell, Yayoi Kusama, Meg Webster and David Ellis. This event is FREE to attend; please RSVP. Beer and wine will be available. Accessible parking is available in the museum lot at 505 Jacksonia Street.